As if it wasn't expected, scammers are already attacking fans of the barely one-week-old StarCraft II. Blizzard's StarCraft II was finally released last week and everybody is saying how it's just the bee's knees. Don't let those feelings of happiness make you let your guard down, as scammers are using the title's hype to try to steal Battle.net accounts and personal information. This seems to be par for the course every time a super-popular game is released, as it also happened with Modern Warfare 2. Spotted by Siliconera, the new scam involves emails that pretend to be from the Blizzard Store. 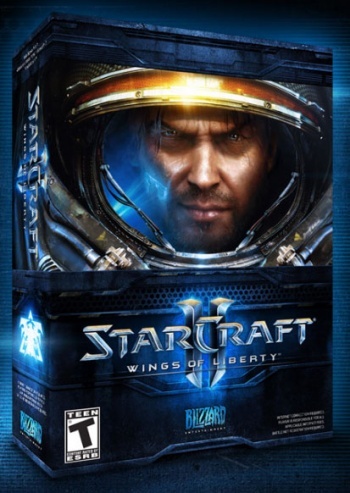 It attempts to make users believe that they're getting a StarCraft II CD key, but that they must create or log into a Battle.net account at a non-Blizzard location. The email reads: "To use this key to activate the game, simply follow these instructions: 1. Create a Battle.net account (or if you already have one, log in) at <malicious URL removed>." It then pretends like you'd be good to go for some Zerg on Terran action, but you really would have just given a scammer your Battle.net account. If an email doesn't come from "@blizzard.com" or "@battle.net," it's not from Blizzard. We should all know this by now, but when an email tells you something that's too good to be true, like that you just got a free copy of StarCraft II, it is. You wouldn't respond to the guy that keeps emailing you about how you just won the email lottery, would you? Or the foreign national that says he's going to give you $100,000 if you give him $5,000 to release the funds, right? Right? I hope you just said no, twice.